Kids love to play in broad daylight. Hence, tagging them along in a picnic at your local park will surely lift their spirits up. However, instead of just laying mats on the ground and potentially damaging the Bermuda grass, why don’t you consider bringing a portable kid’s picnic table instead? It is specially designed for young people to sit, can be folded, and easy to carry around. If this is your first time buying, you are most likely to get overwhelmed by the vast array of choices. 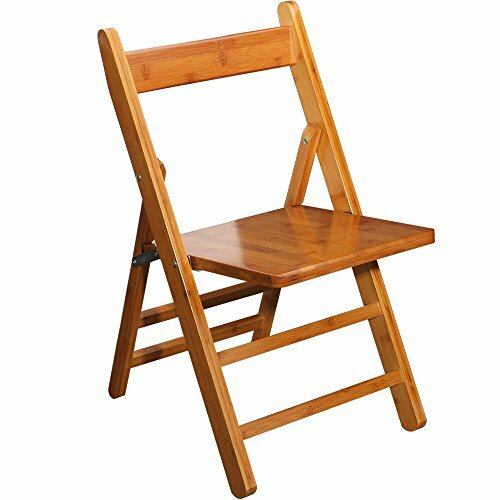 This wooden picnic table stands above the crowd and is ultimate superior when we talk about the durability and quality of the product. 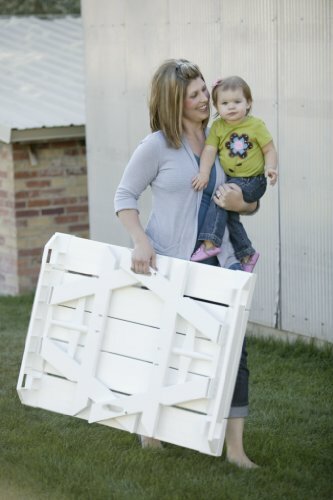 It is not a little playset but a handy and durable picnic table you can easily carry around. The package also includes an umbrella and bench seats for the perfect picnic set-up. In that way, you will no longer worry about your children having their little tea party under the heat of the sun. The picnic table features a drain on splash pool and plug on the sandbox. In that way, it’ll be easier for you to clean it up after they play. Also, this activity table is versatile. You can turn it into a covered sandbox to a picnic table in just a matter of minutes. 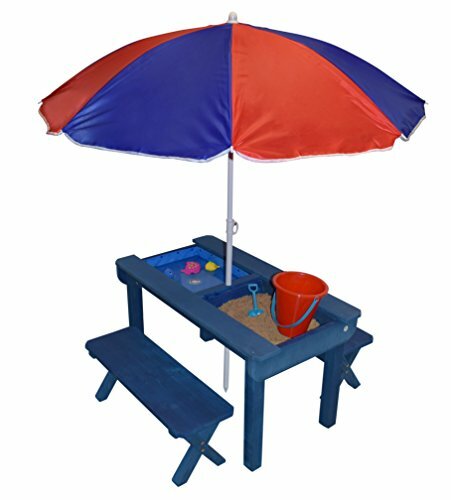 There’s no need to worry about the safety of your young ones playing with this picnic table set because the materials are non-toxic. Children ages three years old and above are recommended to use this picnic table. Costly for a picnic table. Now you can take your children to a picnic anytime you want with the Bamboo rectangular folding table by Unicoo. This picnic table is 100% made out of natural bamboo and safe to use for kids. The smooth surface of the table marks its superiority in quality. Also, it went through the proprietary fossilized manufacturing process that would allow you to enjoy at least twice the density of the hardwood. No added chemicals when manufactured for the safety of the kids. This small yet durable picnic table can be folded after use. No complex assembly required. 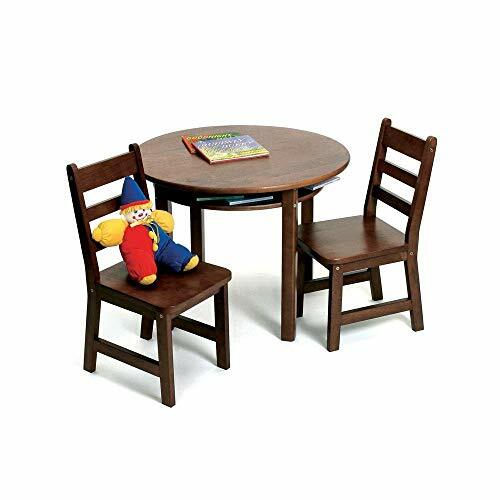 This 5-piece kids table set can accommodate up to 220 lbs so adults can also use it. The quality craft of the table will assure you that it’ll last for a more extended period of proper maintenance. No required cleaning products to use when cleaning the table. Bamboo finishings wear out with constant use. Take a look at the rectangular picnic table manufactured by Kidnic! It’s one of a kind picnic table that would allow you to set a picnic almost every day because of its durability. The compact and space-saving design allows the user to carry it around with ease. Also, the quality plastic base material is in a white coating that ensures elegance and can easily blend with the rest of your picnic set. This picnic table can accommodate up to 600 lbs, perfect for young adults as well. The sturdy picnic table can also withstand the strong wind and rain. There’s no need to worry if you leave it out in your yard after using. Issues with the table design, it keeps on falling backward. 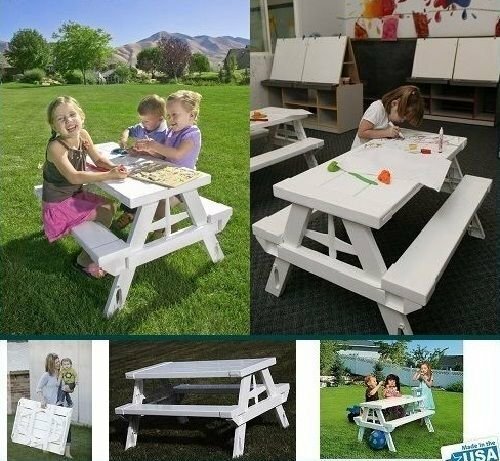 This white foldable children’s picnic table will allow your kids to have a fun time outside the house. The product manufactured by the Henry’s Home Store is built to last. It’s made out of superior plastic material and can accommodate up to 600 lbs. Setting up the table will take less than 20 seconds only. Just fold it up quickly when your children are done using it. Now you can set-up anywhere and anytime you want with this picnic table. There are no extra parts required in the assembly. It’s also 100% safe to use guaranteed by the manufacturer. Great for children under five years only. 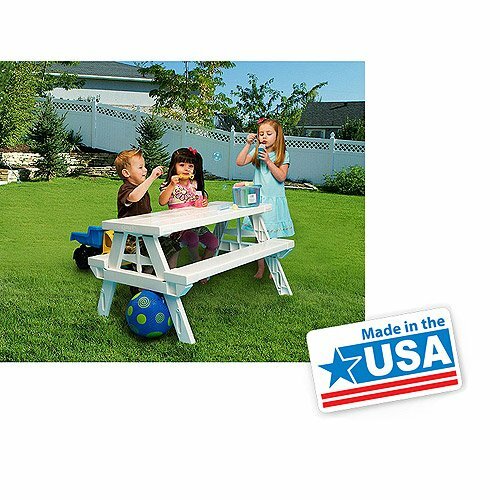 Don’t let your child miss a flying start with this picnic set table. You can choose from three available colors. It can be used for picnics outside, workshops, and creating various crafts. 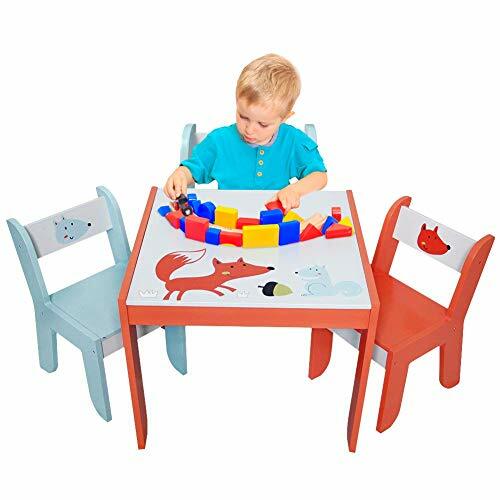 With its durability, it can act as a play table, dining table, and a picnic table. It’s lightweight and can be easily carried around. 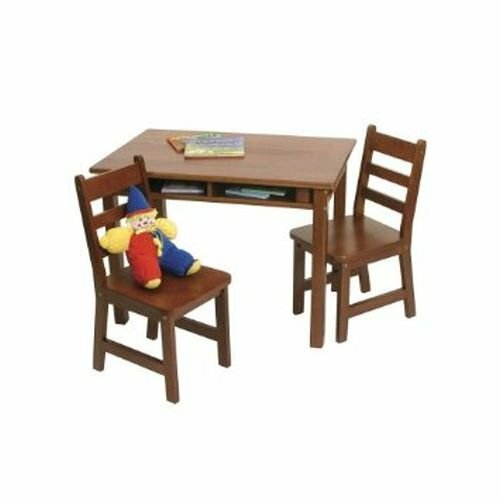 The table is specially designed for your young ones. You can purchase the chairs of the same model and get up to 15% discount when you do. Assembly time is less than ten minutes only. This hardwood table can be set up with a screwdriver for added stability. The natural finish of the table allows you to clean it quickly after use. Odorless and elegant-looking, it’s an excellent gift for your children over one-year-old. Crumbs getting trapped between table and side pieces. This colorful 4-piece picnic table is perfect for your weekend getaways with kids! 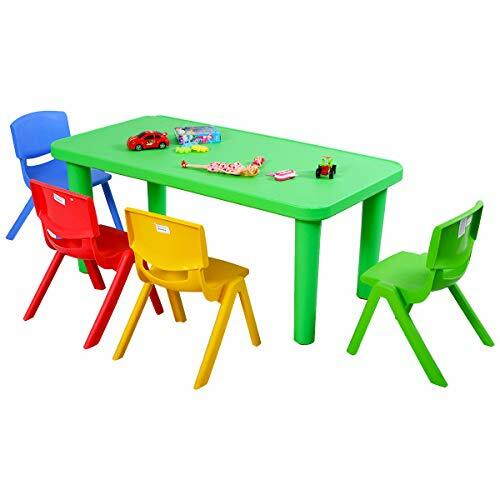 It has red, green, blue, and yellow chairs completed with a green table. What’s more to ask for? The manufacturer made sure that the user will be comfortable while seating with its molded seat and vented back. Each chair is made out of fade-resistant and non-toxic PE plastic so rest assured that it wouldn’t peel for many years to come. The chairs are lightweight, allowing your children to arrange it the way they want. Also, the rounded safety corner of the green table is to make sure that your kids are safe at all times. The chairs as mentioned earlier can accommodate up to 176 lbs each and the table up to 100 pounds. It’s the perfect sweet picnic table set that you’d want to use during picnics, workshops, and simple family gathering! Issues with the screw coming loose. Perhaps you are looking for a round picnic table? Allow us to introduce this beautiful picnic table set by Lipper International. Owning a roundtable means extra safety to your kids while they are playing. The large surface is perfect for coloring, painting, and doing fun activities with their friends. The picnic table is made out of medium density-fiberboard, beech, and in deep walnut color that can easily blend into your existing interior. The package includes two chairs along with the round table and hardware needed for assembly. The sturdy built will ensure you that it’ll last for an extended period with proper maintenance. Another product from Lipper International is their rectangular picnic table with shelves. This beautiful set is perfect for your children. The cherry finish can easily blend into your existing interior. Your kids can work on their project, play, or have a tea party with the generous space that it offers. It also has four open cubbies that will allow them to store their art materials and toys when not needed. The table is made out of beech, medium density fiberboard, and pine. The package includes two chairs that are also coated in cherry and all the components needed for the assembly. This wooden picnic will surely spark up your kid’s heart. It’s safe to use, provides excellent stability and can accommodate up to 200 lbs. It’s an excellent choice if you are looking for something that your children may use in sitting in a corner doing their art projects and having snacks. The table is made out of 100% reforested lodgepole pine from Montana that ensures durability. Since this is still an unfinished sand table, you have the luxury to choose your kid’s favorite finish color. It can be a great bonding for the kids and your family. You can quickly assemble it using bolts. All hardware components are included in the package. From the finishing to setting up the table, you will most likely gain good memories with your family. Additional expense for the finishing. The innovative design of Generic for this picnic table is a must-have for every parent out there. 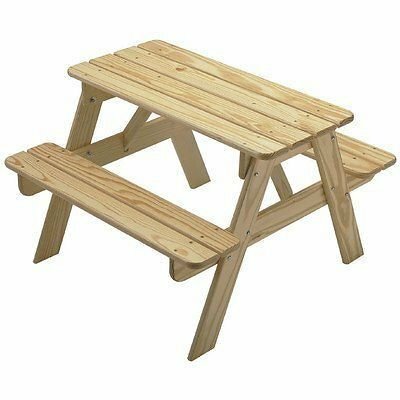 You can quickly bring this picnic table to your local part and fold it up as soon as you are done. Since this outdoor table is made out of plastic, it’s lightweight and easy to carry around. It can also be used in your kid’s bedroom, patios, and terraces. The table, despite being made out of plastic, can accommodate up to 600 lbs of weight. No other tools are required to finish the assembly. It’s easy to clean and can last for a long time with proper maintenance. Issues with table tipping over. Before you take a look at the best-selling kid’s picnic table we’ve prepared for you, it is best that you equip yourself first with knowledge of buying the right kid’s picnic table. It will help you make the right decision when it comes to selecting picnic tables that are most suitable for your kids. Why Should You Buy a Picnic Table for Kids? There are many benefits that you can enjoy should you buy a kid’s picnic table for your children. Instead of taking them outside, you can easily set up the picnic table at your backyard and start grilling their favorite food. Now you can treat your kids without stepping out of the house. Best of all, you can do it anytime you want. Another benefit of buying a kid’s picnic table is its portability. You can carry it anywhere you want. Now you can set up a picnic in the park without having to worry where you need to place all your things once you’re there. Most of the picnic tables are foldable and designed to be portable, so you can easily place it at the back of your car after use. As mentioned earlier, picnic tables have a foldable design. So when not in use, you can save space by folding it and storing it in your cabinet. It helps to protect the picnic table from harsh elements when placed outside. Lastly, buying a picnic table is an economical choice. Compared to other tables, kid’s picnic tables are sold at a budget-friendly price. So, if you’re looking for the perfect gift that your child can use in the long run, you might want to consider buying them a picnic table. Metal – metal picnic tables are known its long lifespan. Consider buying a kid’s picnic table made of metal if you want it to last for years to come since it is made of one of the strongest materials. Aside from that, it can take the weight of anything you plan to place on the table, and it offers maximum stability. Plastic – if you want a kid’s picnic table that you can carry anywhere you want, we recommend a picnic table made of plastic instead. Albeit made of plastic rest assured that it is durable and can last for a long time. Most buyers who are concerned with ecological statement tend to buy picnic tables that are made of recycled plastic as well. Wood – some picnic tables are made of wood, as well. Wooden picnic tables can easily blend and complement nature’s surroundings. Aside from that, wooden picnic tables are powder-coated, so rest assured that it can resist the harsh elements of nature when placed outside the house. Since it’s going to be for your kids, you might want to choose a picnic table in a vibrant color such as Pacific blue, sunset red, lime, or tangerine. It will entice kids to use the table. Or if you want it to blend with your existing house design, you may want to consider earth tones such as sand, brown, gray, or just plain wooden finishing. For parents with a modern taste of design, a kid’s picnic table in black and white is an ideal choice. When buying a picnic table, ask yourself this question, “How often do I need to clean this table?”. As much as possible, we recommend that you buy a table with an easily cleanable surface. You might want to buy picnic tables that can resist stains and discolorations in the long run too. When it comes to the style, it is important that you consider the safety of your kids. The round picnic table is safer to use because it does not have sharp edges. Or should you choose a rectangular picnic table, pay attention to the edges if it can harm your kids accidentally when they are playing.